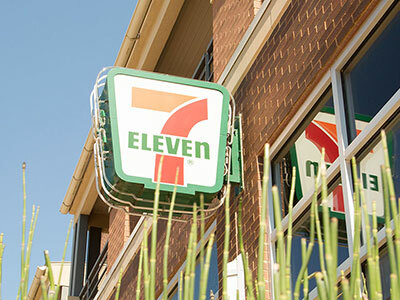 In the Fort Worth Cultural District, 7-Eleven is the convenience store of choice! They’ve got what you need, whenever you need it, and they’re just around the corner. Step inside for fresh-brewed coffee, fountain drinks, hot dogs, fresh sandwiches, snacks – and oh yeah, Slurpees®! You’ll find tasty things to eat any time of day, from breakfast to late night. 7-11 is also packed with thousands of convenience items, from pet food to paper products, from medicine to mints. And don’t forget your lottery tickets!